Brown, a highly rated goalkeeper from Scotland, was one of 27 in the guest category. He was born in Dunipace, between Falkirk and Stirling, and his taste for football developed at Falkirk High School, where he was taught by Hugh Brown, the father of future Scotland manager Craig Brown. He began his career in the game with Queens Park in 1939, making his debut as a 17-year-old against Celtic the following year and cementing his place as the club's number one across the next two seasons before war interrupted his career. He served as a pilot in the Fleet Air Arm at Dartmouth Naval College, although it wasn't this location that drew him to Argyle's attention. He also played for Scotland in several wartime internationals and was rewarded with his first full international cap against Belgium in January 1946. Brown, like many players of the day, was already preparing for life after the game whilst with Queens Park, training to become a Physical Education Teacher. The First Lord of the Admiralty, who was in charge of the Fleet Air Arm, Albert Victor Alexander (the 1st Earl Alexander of Hillsborough and later Minster of Defence under Clement Attlee), arranged for him to attend the Physical Training College at Portsmouth. Alexander was also a vice-president of Chelsea and it was from his time at college in Portsmouth that Brown guested for Chelsea and Portsmouth, and it was from here rather than Dartmouth that he guested for Argyle. He left Queens Park at the end of the 1945-46 season and shunned signing for his old captain Matt Busby – by then in charge of Manchester United - to remain in Scotland with his wife-to-be. Instead he signed for Glasgow Rangers, where he spent the next decade. 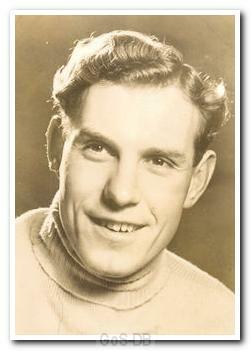 He also appeared for a Scottish League XI eight times between 1949 and 1952. At Ibrox he went on to win five league titles, four Scottish Cups and add a further four full international caps to his tally in 211 appearances for the club. 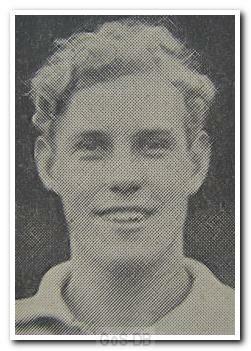 He then moved to Falkirk in 1956, where he played 23 times across two seasons before retiring. Brown then became manager of St Johnstone, achieving notable success by returning them to the top flight in Scotland – a success which no doubt contributed to him becoming the first full-time manager of the Scotland national side in 1967. This appointment completed a remarkable pair for Argyle in the history of the Scottish national side, as former Home Park manager Andy Beattie had previously been appointed the first manager of Scotland in 1954, before which the national side had been selected by committee. Brown's first match in charge of his country was a famous one: the 3-2 victory over reigning world champions England at Wembley in April 1967. It was the game after which Scotland traded themselves as 'unofficial world champions', but it was not to last; they qualified for no major tournaments in the 1960s and like international managers today, Brown found his squads continually eroded by 'club before country' debates. He ended his links with the national side in 1971 to concentrate on business interests outside football. He did however remain involved in the game and in later years renewed his association with Argyle, this time as a scout. Bobby Brown is 93 today and remains alive and well in Helensburgh, Scotland. I spoke to him about 12 months ago, keen for his view on why former Argyle player Jimmy Gauld left St Johnstone so soon after joining. Brown was the St Johnstone manager at the time. Age has not dimmed his memory and he quickly recalled how days after he had signed Gauld he realised his mistake. He told me that he had gathered together a close-knit group of players at Muirton Park but that Gauld's continued presence was going to affect things. "I had to be rid of him. One evening I picked up his boots from the ground and toured the betting shops and pubs of Perth. I knew I would find him in one or the other. I gave him his boots and told him not to darken our door again. I was not surprised at what happened to him over the next few years."